Why Study Music Education at Westminster? 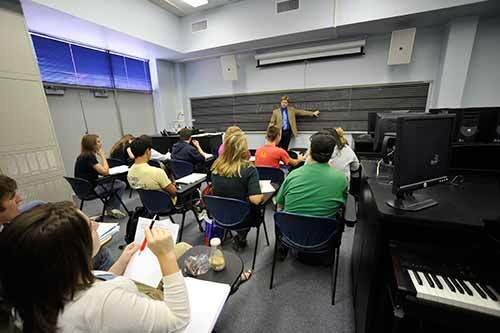 Our students get jobs: over 95% of our Music Education Majors who are pursuing employment as music teachers are hired. Teaching field experience for students in all four years of study. The music education major fulfills certification requirements for those preparing to teach music in the public schools (K-12). *Note: Voice concentration must take two of the following: MUS 207, 208, and 209; Instrumental concentration must take a minimum of two of the following: MUS 212, 213, 367, or 379.